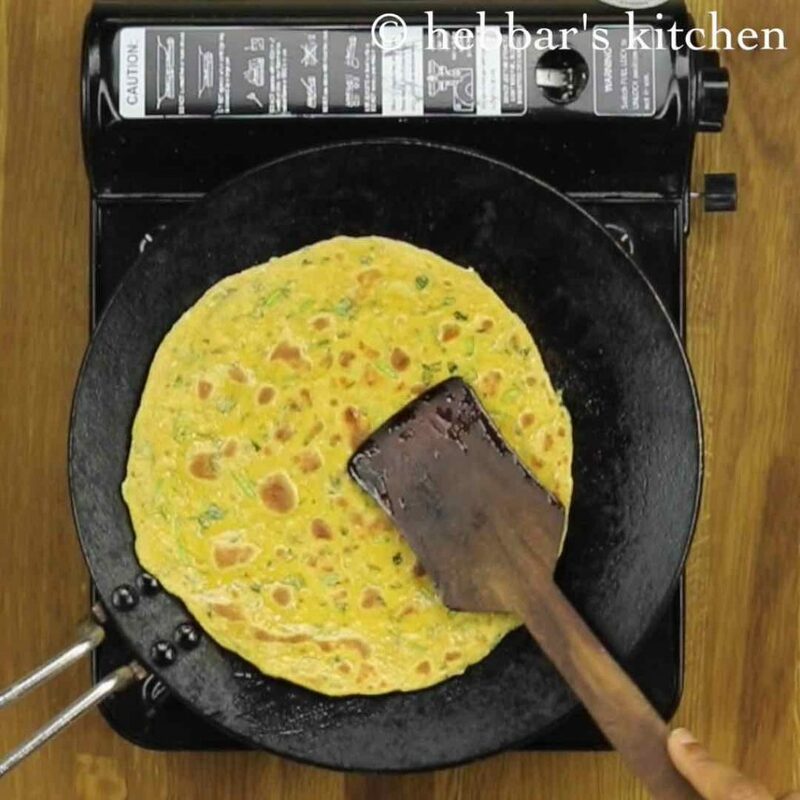 methi thepla recipe | methi ka thepla recipe | methi na thepla recipe with detailed photo and video recipe. 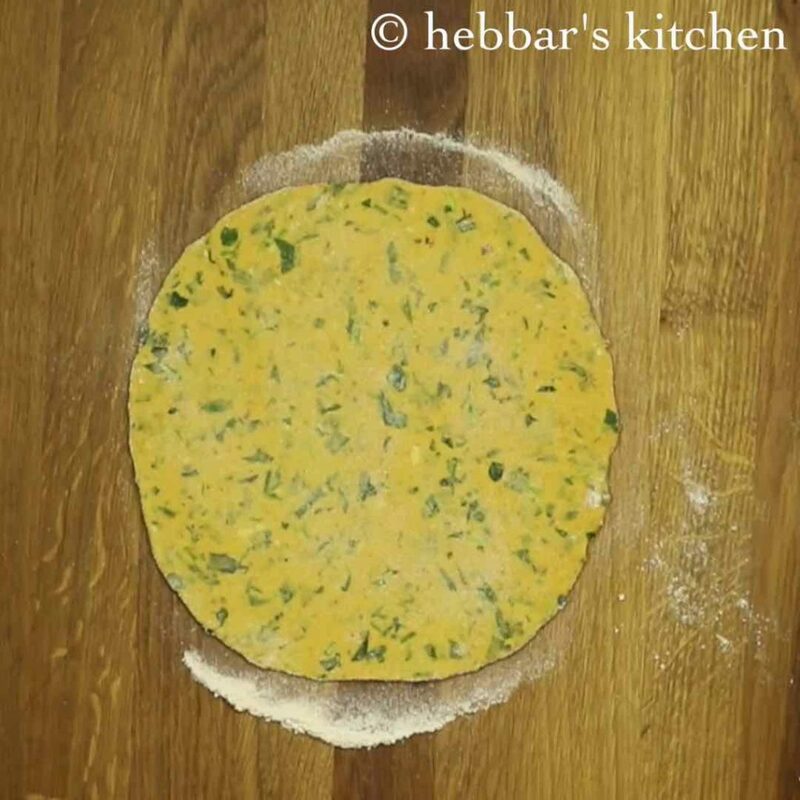 a flavoured flat bread recipe from gujarati cuisine prepared with fresh fenugreek leaves. it is typically served for breakfast and lunch with plain yogurt and mango pickle. thepla recipe comes very handy as a lunch box recipe and also for tiffin box while traveling. 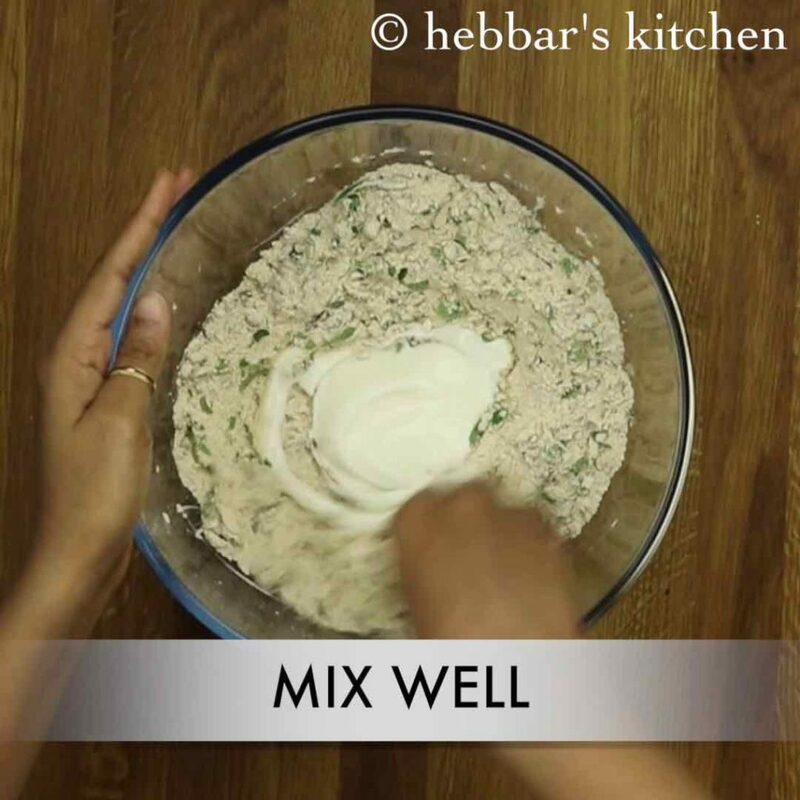 methi thepla recipe | methi ka thepla recipe | methi na thepla recipe with step by step photo and video recipe. basically a roti recipe from gujarati cuisine, but very well popular all over india. thepla has a longer shelf life compared to normal roti’s and can be easily preserved for 3 days in room temperature. 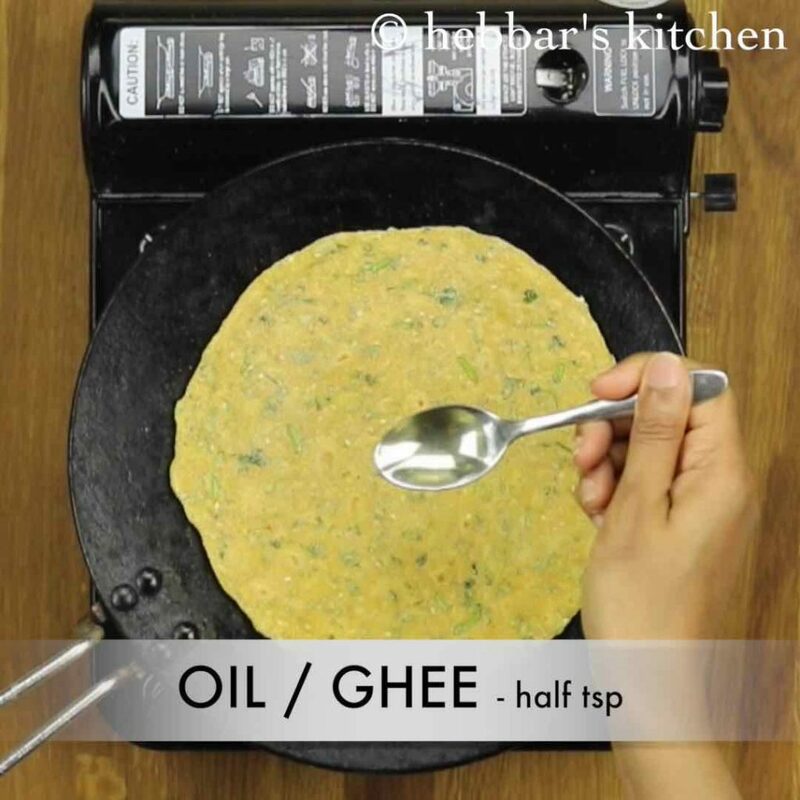 it is prepared very similar to methi paratha recipe, however besan or gram flour is added to make it soft. 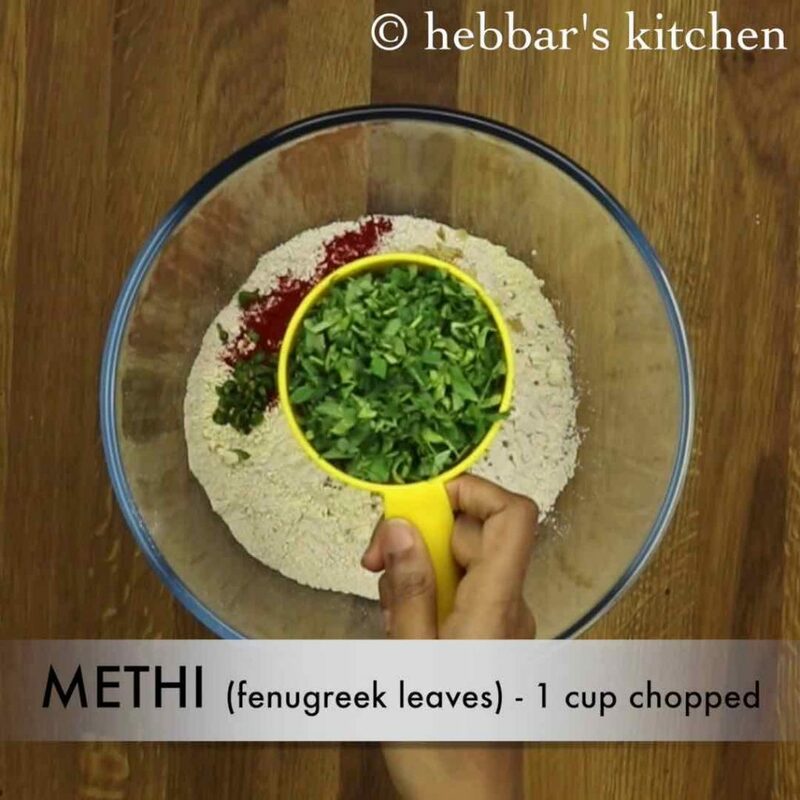 while the fenugreek leaves are considered to be bitter in taste, it has several heath benefits to offer especially with methi thepla recipe. firstly, it helps in improving digestion and appetite. it is full of antioxidants and fibre, which eventually removes all toxins from our body. secondly, fenugreek leaves helps in reducing body weight and can be easily included in diet for weight watchers. it is also considered to be good remedy for menstrual disorders especially the pain and the cramps. lastly, it also helps to cure hair loss disorder and helps to retain the glow on skin. 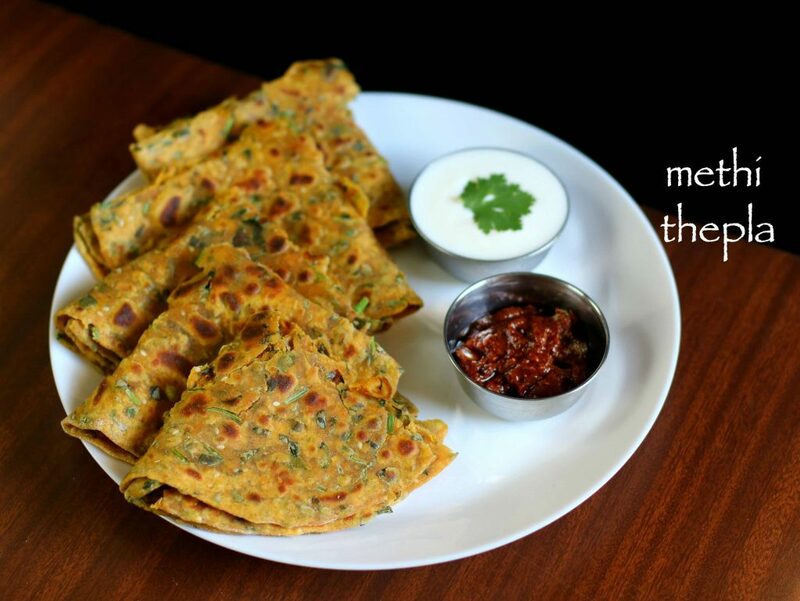 besides, some important tips and suggestion for a perfect methi thepla recipe. firstly, soak the fenugreek leaves in warm water for minimum of 15 minutes. this ensures to reduce the bitterness taste of fenugreek leaves. thepla has to be fried on medium to high flame and not on low flame. on low flame the thepla would turn hard and brittle. 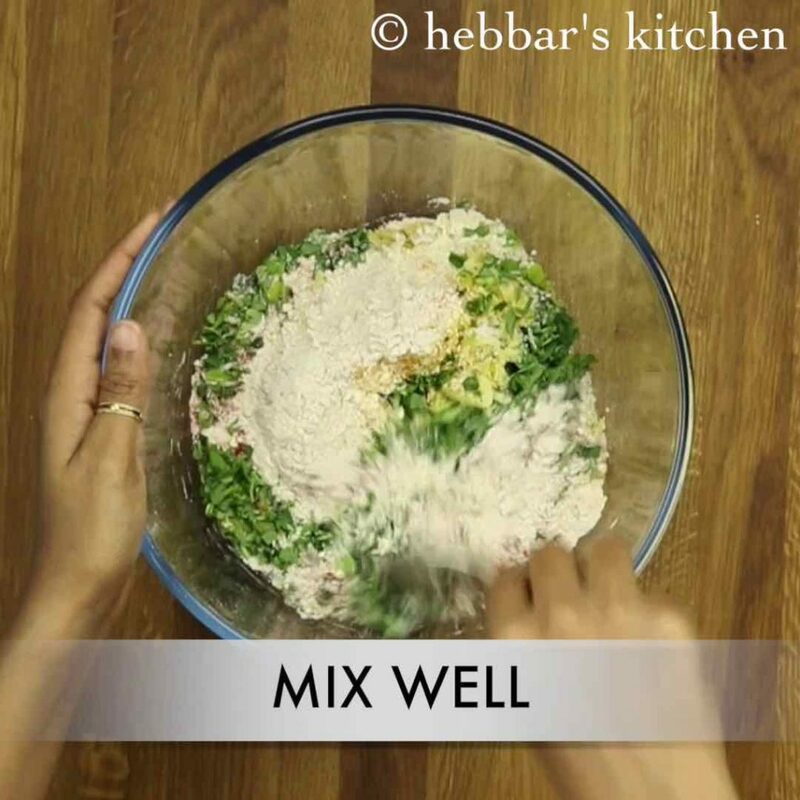 adding curd is optional while kneading the dough. however curd helps to make thepla soft, but skip it if you are vegan. lastly, do not forget to add ajwain or carrom seeds which help in digestion of gram flour. 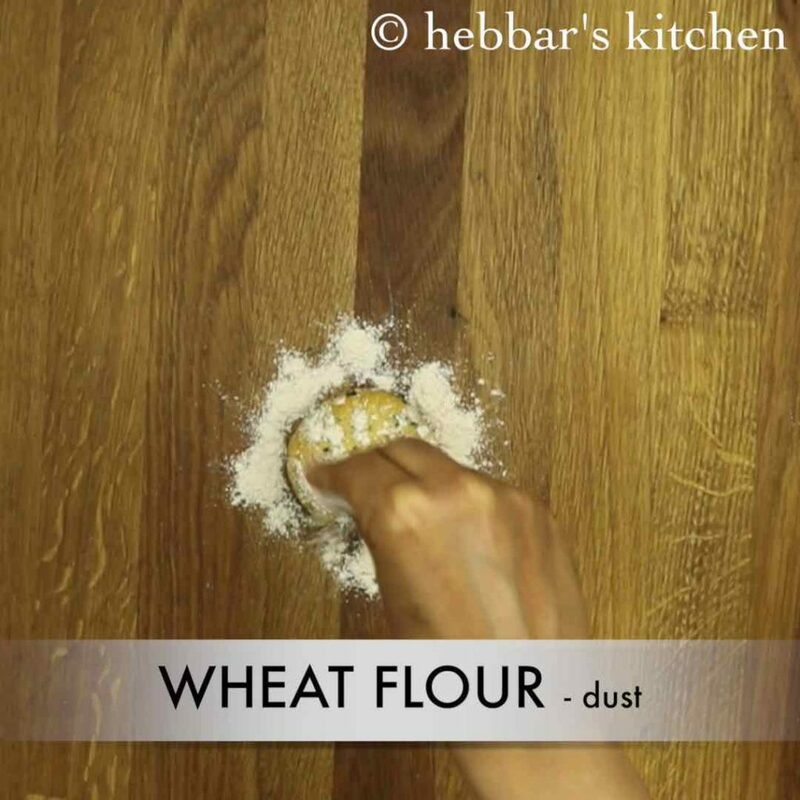 firstly, in a large mixing bowl take wheat flour and besan. also add chili powder, turmeric, sesame seeds, carom seeds and salt. additionally, add green chili and ginger. now add finely chopped methi leaves. give a rough mix making sure the spices are combined well. furthermore, add half cup of curd and combine the dough well. 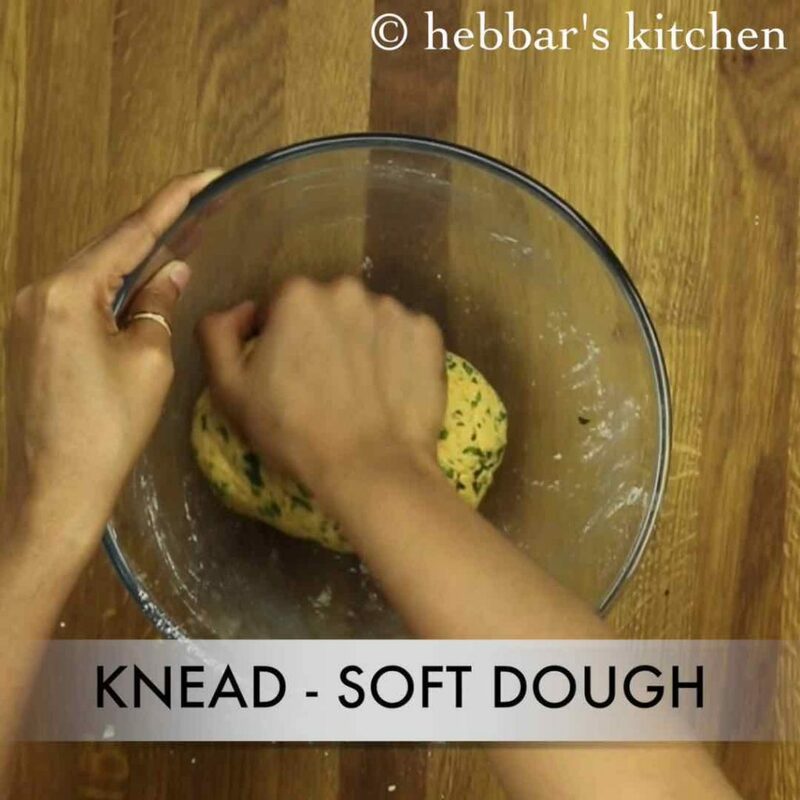 knead the dough to smooth and soft texture like of chapathi dough. 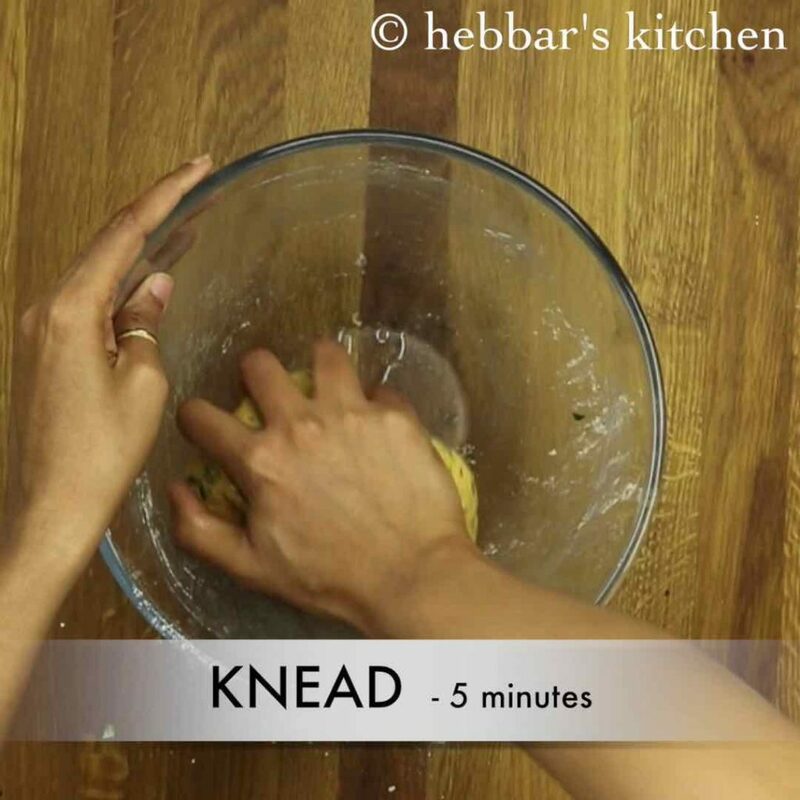 add 2 tsp of oil and knead the dough for 5 more minutes. 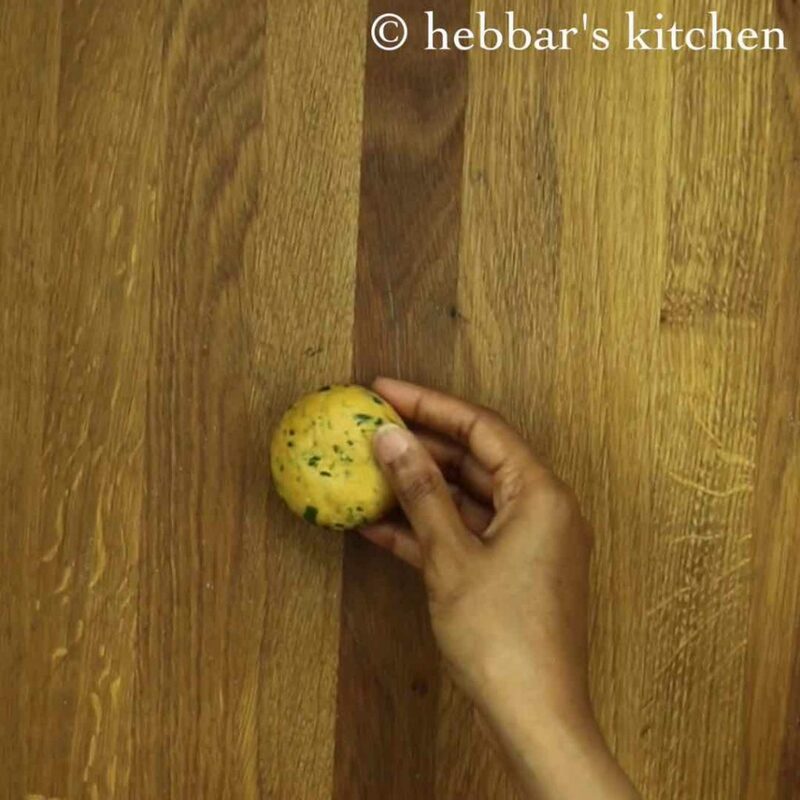 further roll it in a thin circle like chapathi or paratha. 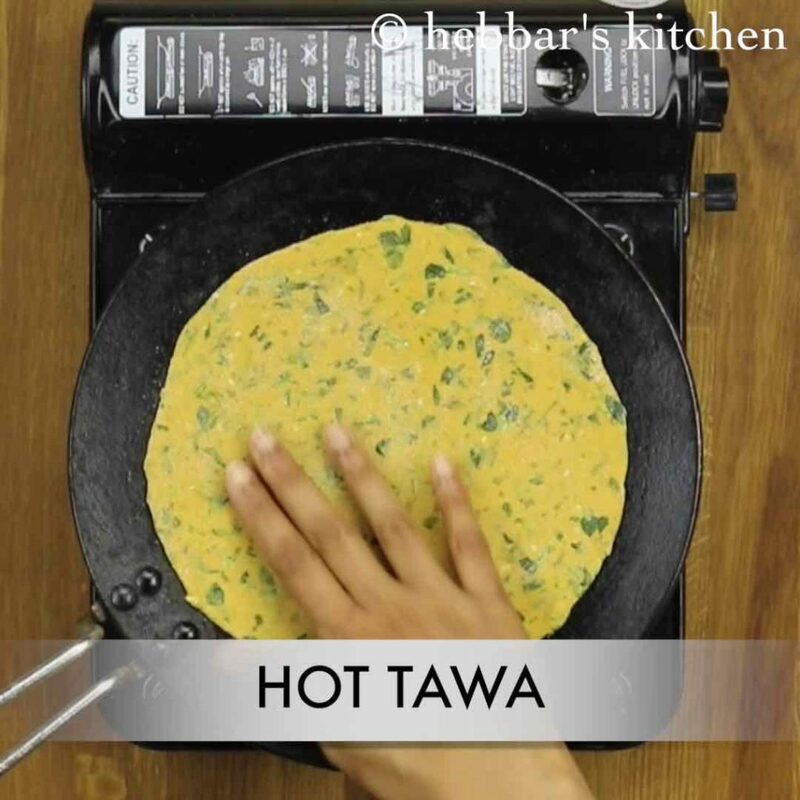 now on a hot tawa place the rolled thepla and cook for a minute. finally, serve methi thepla with raita and pickle. 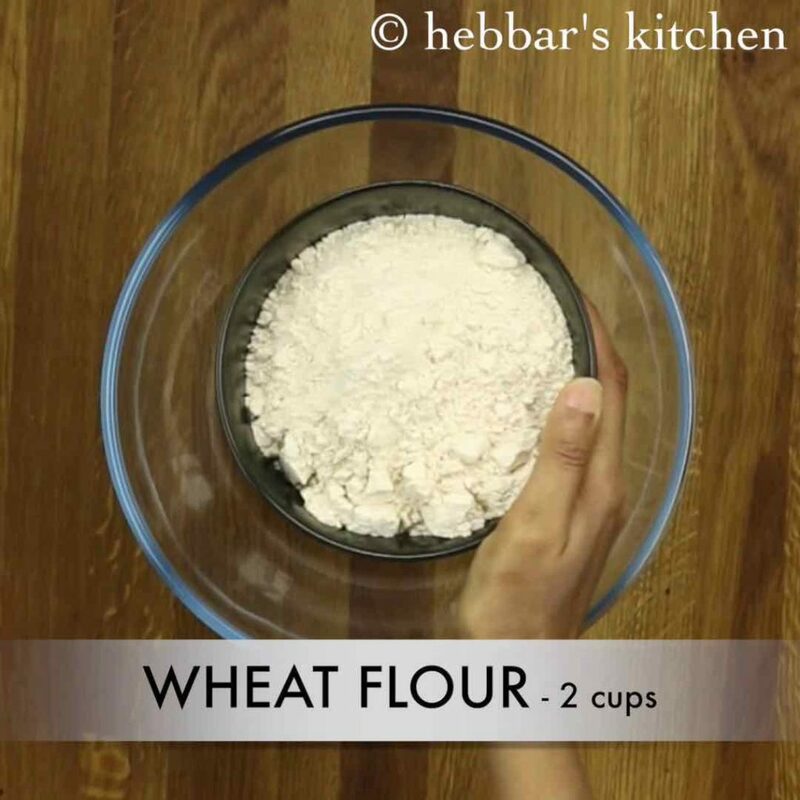 firstly, in a large mixing bowl take 2 cups of wheat flour. also add ¼ cup of besan. 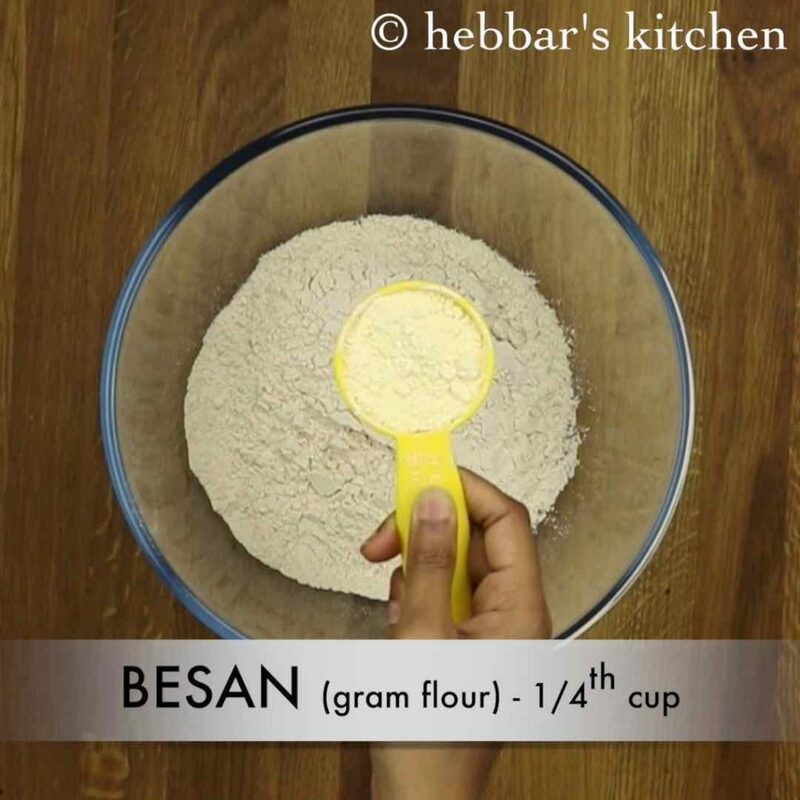 besan helps to make thepla soft. furthermore add chili powder, turmeric, sesame seeds, carom seeds and salt. now add finely chopped methi leaves. make sure to wash the leaves well and discard the stem before chopping. 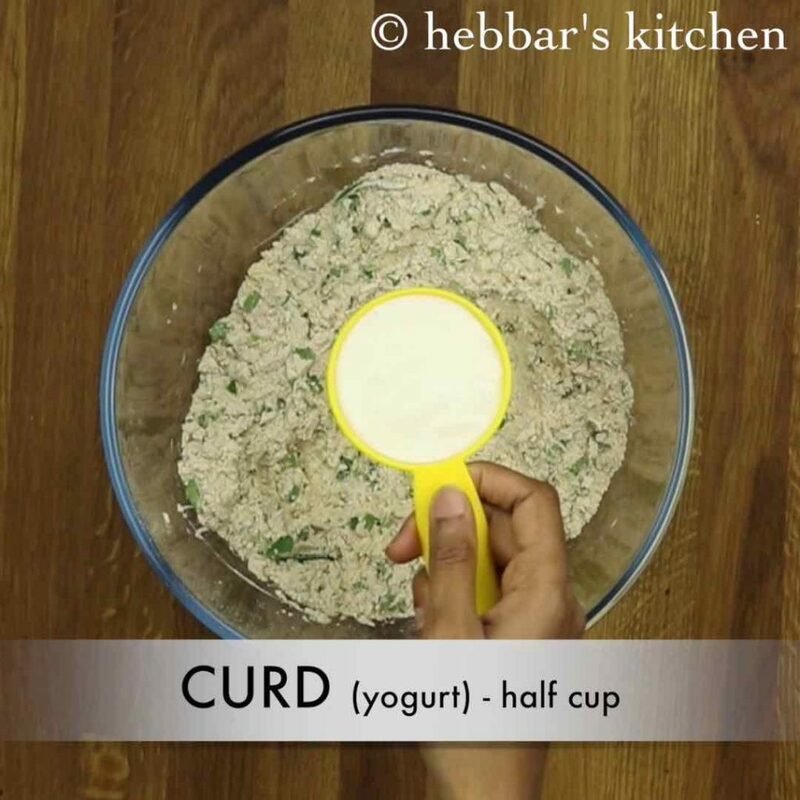 furthermore, add half cup of curd. curd helps to remove the bitterness in the thepla and also increases the shelf life. 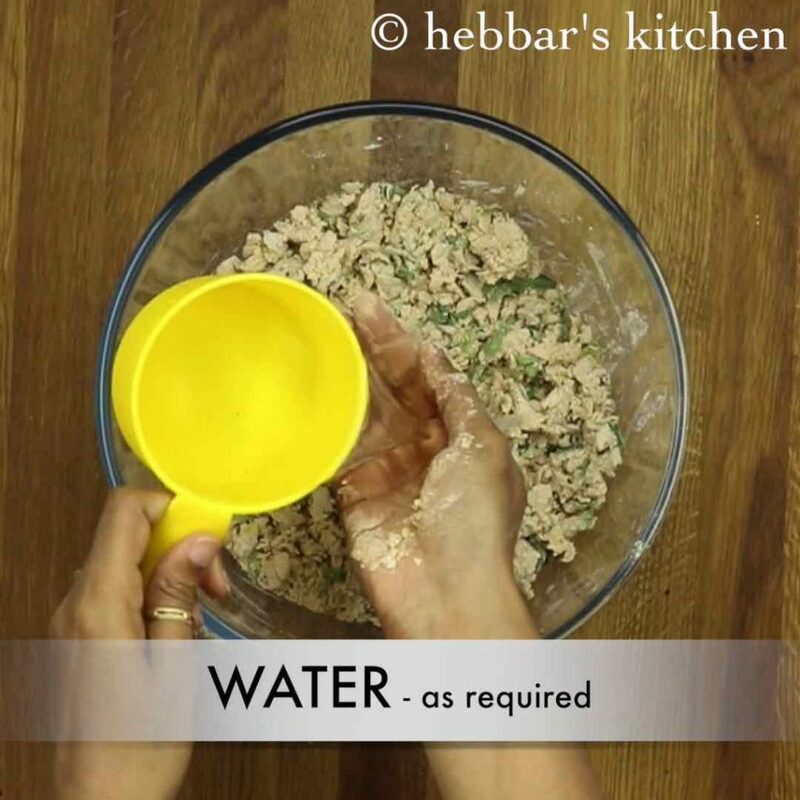 additionally, add some water and knead the dough. alternatively, use curd to increases the shelf life. add 2 tsp of oil. 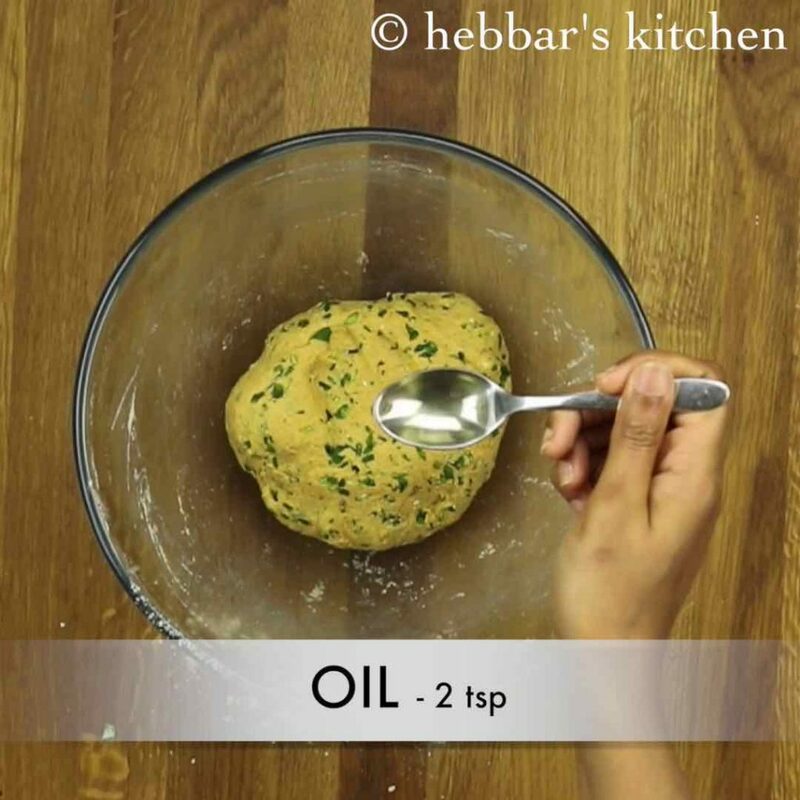 adding oil will make dough more soft. further, knead the dough for 5 more minutes. 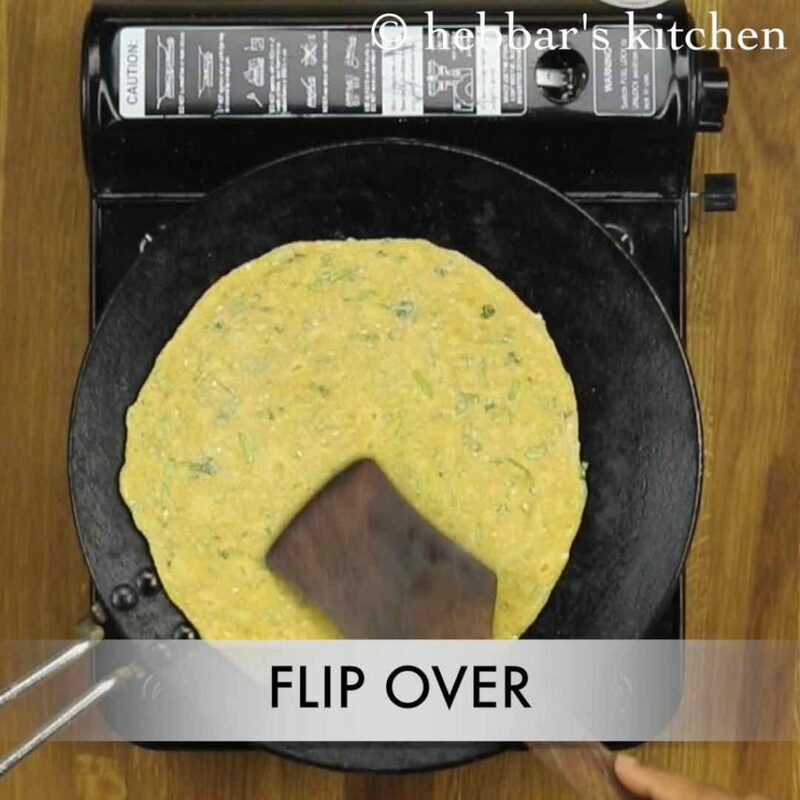 furthermore, when the base is partly cooked, flip the methi thepla. finally, serve methi thepla with raita and pickle. or take it to the picnic as it stays fresh for 2-3 days. firstly, make soft dough else the theplas will not taste good. 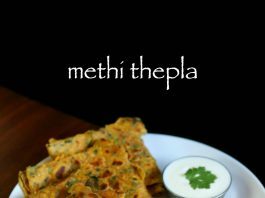 furthermore, methi ka thepla stays fresh for longer time when kneaded only with curd and not water. also adjust the spice level according to your choice. 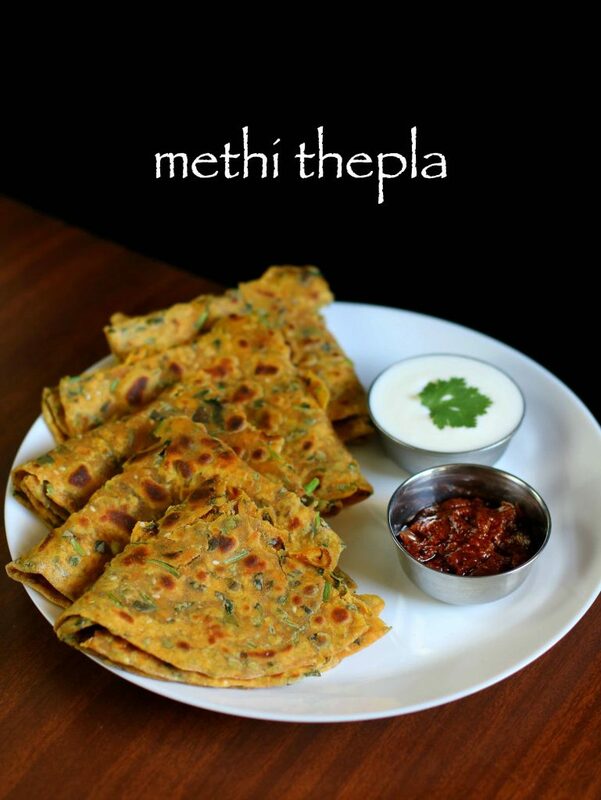 finally, methi thepla is very healthy and good for digestion. 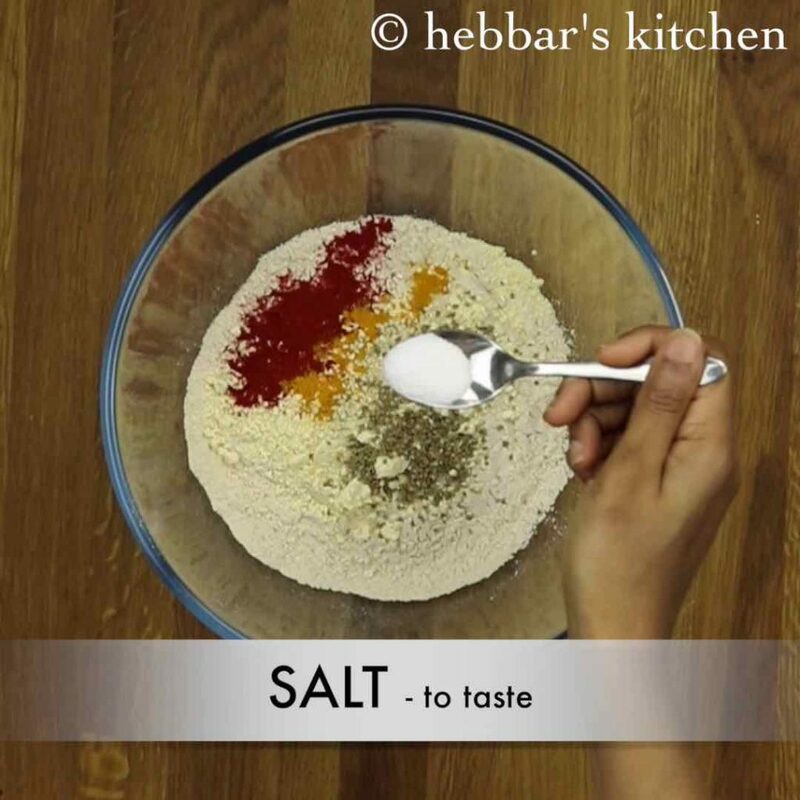 I refer Hebbar’s Kitchen these days. Cooking food made easy, interesting & tasty :). I am cooking confidently these days. 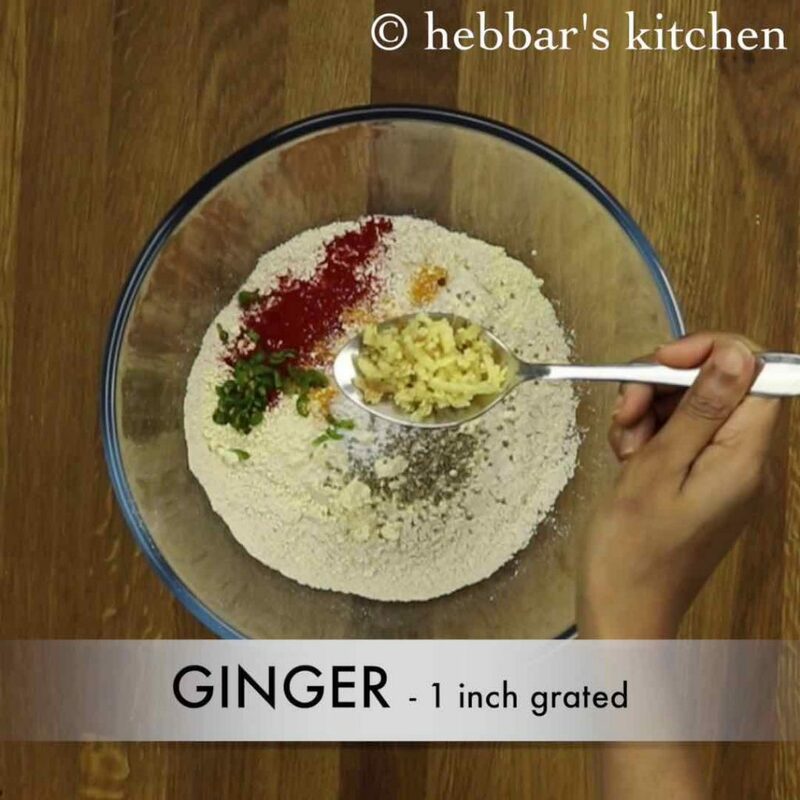 thanku you hebbars kitchen. today’s breakfast methi thepla vith my Aai. my mom and me making different breakfast first time in my life. super Deepak. I hope you enjoyed your breakfast. a boon to my kitchen. thanks. Tried it today. came out very tasty. Thank you. pl. add Bakery product recipes on this site. I will try to add more bakery recipes thanks a lot for the suggestion. Hello dear…. I love ur recipes… They r simple n easy to cook….. Thanks for sharing so delicious dishes… Keep it up… With lots of love. !.